Christopher Priest isn’t a writer who favours either conventional plotlines or narrators you can trust. Or even places you can trust. The Dream Archipelago is a recurring setting in his fiction, a collection of islands that’s impossible to map accurately from the air because of “distortion” caused by “temporal gradients”. Perhaps a gazetteer would help clarify matters? 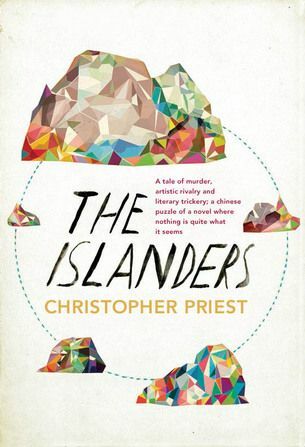 Not if The Islanders , Priest’s first novel for eight years, is anything to go by. Introduced by writer Chaster Kammeston, a key figure in what follows, it purports to be a guide to the islands. And at times it is, as the novel sometimes offers up pithy chapters that describe both wonders and - particularly in the case of deadly insects called thrymes - horrors. Initially this is confusing, but gradually patterns begin to emerge and, in longer chapters that often read like self-contained short stories, a wider narrative begins to develop. At its heart lies a killing and a doomed love affair. That’s probably partly the point, because Priest certainly isn’t a writer who believes in making things easy for his readers. Which isn’t the same as saying this is an overly difficult book: rather it’s giddying, fascinating, a hugely accomplished slipstream novel.